We pride ourselves in offering professional repairs and servicing at your convenience within the Bedfordshire area. We aim to be Bedford's one-stop shop for all your cycling needs. We cater for all styles of bike, everything included from kids bikes to high end on and off road bicycles. The mission of RollBack is to bring good quality and affordable bikes to the local community, for all ages and uses. Whether you're serious about Mountain Biking or Road Cycling or if you commute by bike, fitness or leisure and family cycling. All are welcome at RollBack Bikes in Bedford. We want to help our customers bridge the gap between internet choice and local expert knowledge. With us, you can talk through your requirements, cycling activity, goals and objectives, from this information we can put together a tailored cycling solution that suits not only your riding, but your budget too. We take second-hand bikes, fix them up and donate them to refugees and asylum seekers. Some of the bikes we receive are sold to help fund our work. Below are highlights of some our project work. 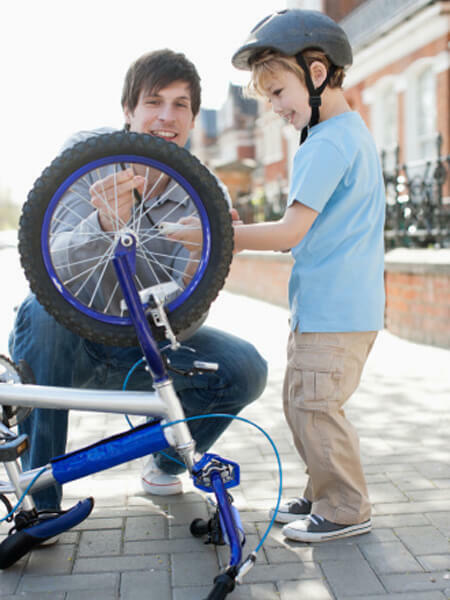 We provide a range of operations where you'll be able to get yourself a new bike, have it serviced, looked after and get involved with our community projects. When not riding, you'll be able to relax on our sofa and have some of our awesome fresh coffee. 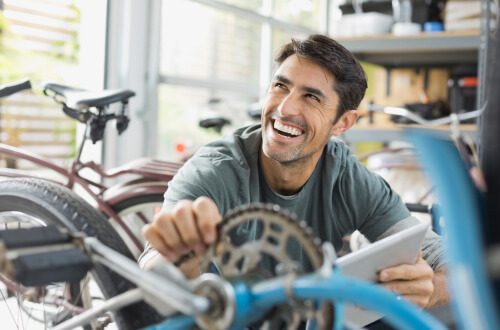 Regularly servicing your bike will decrease the rate of wear on parts and keep your bicycle feeling as smooth as the first day you rode it. Our mechanics are trained to the highest levels. Dr Bikes are a great way to encourage people to cycle to your event, whatever it may be. We arrive with a full mobile workshop under a gazebo ready to check and fix bikes, and offer tips and advice. We have dedicated drop-in workshop session where you can work on your own bike under supervision. 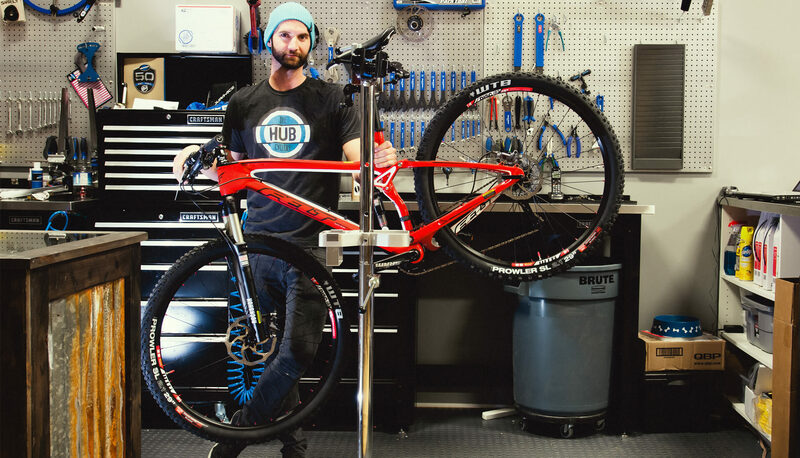 During drop-in hours you can have access to the workstands, tools, there will always be a mechanic on hand to answer your questions and guide you through the process of fixing your bike. We sell parts & accessories, including tyres, innertubes, chains, cassettes/freewheels, cables, brake pads, spokes, and much much more! We have many trade accounts, so if you don't see it, we can probably order it in. Simply pay a one-off fee either when you collect your new bike, or up to 6 weeks after purchase, and you'll be covered for the year. At RollBack, we believe that no one should have to choose between eating a square meal and catching the bus. That's why we do bikes. RollBack Bikes aims to provide the best value and service locally in Bedfordshire. Other Stores Prices will be matched for certain items, if you ever find a more compettitive price. 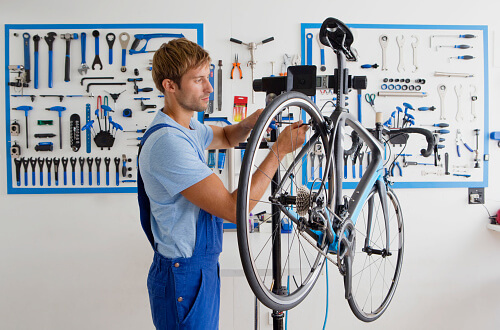 Keeping your bike regularly serviced and maintained is vital to ensure smooth and safe cycling. This will also add to the enjoyment by allowing the miles to flow with lower effort from the rider. Regular servicing is also cost efficient as worn parts are replaced before additional wear occurs and incurring additional costs. Ideal for riders who cycle short distances mostly during the summer. Recommended every 3 to 6 months for those who ride regularly. Recommended every 12 to 18 months for riders who use their bicycles frequently or ride large distances, in all weathers. Whether you're new to cycling, ride regularly or want to get back into it, RollBack seemed to have something for everyone. RollBack is your local bicycle shop offering a full range of quality bikes and accessories at competitive prices. They also have a fully equipped workshop for servicing and upgrades to your trusty steed. Just a closer look at some of the activities we carry out in a workshop just like ours. A fine selection of tales from the workshop floor, including incredible bike restoration stories, inspirational volunteer chronicles – and the occasional shameless cry for help. A Group of volunteers took a visit to Paris to find if any ideas and lessons could be brought back and used within our Bedford bike project. Local firm hired us to deliver a series of bike maintenance workshops to their office staff as part of a 'green initiative' to get more staff using cycles as a mode of transport. No job is too big or small for us. Sometimes we really do get some weird and wonderful requests and these really make our work ever more interesting. We stock some cycles in store but can always order from our suppliers, failing that we can build you a custom bike. 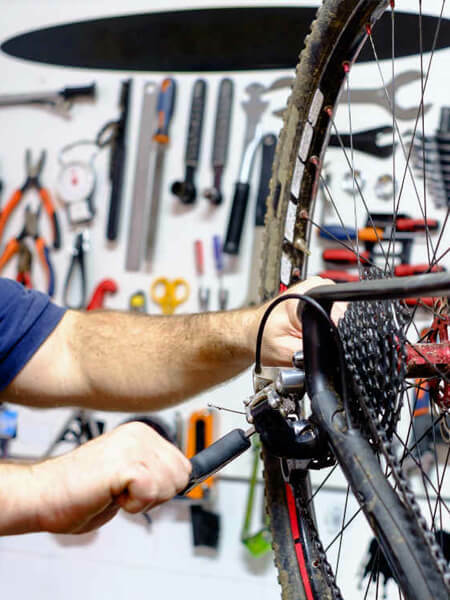 We have many accessories and upgrades to choose from and have a fully equipped workshop where we can provide repairs, servicing and cycle restoration. We always give our customers a friendly, warm welcome and are happy to provide free advice. We’re open until 7.00pm on a Thursday night. Unfortunatly we cannot accept bookings on Saturdays. © Copyright 2019 RollBack. All rights reserved.